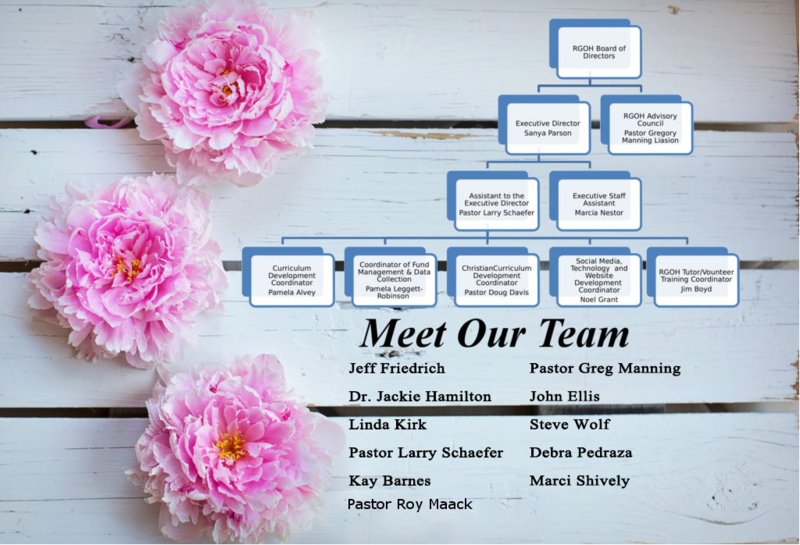 The role of the Advisory Council is to serve as a liaison between the Board of Directors for Rebecca’s Garden of Hope Tutoring and Mentoring Program and the other member churches and organizations affiliated with Rebecca’s Garden of Hope. This Council will meet and discuss ways to improve programs, policies and procedures that will enhance the overall tutoring and mentoring program. 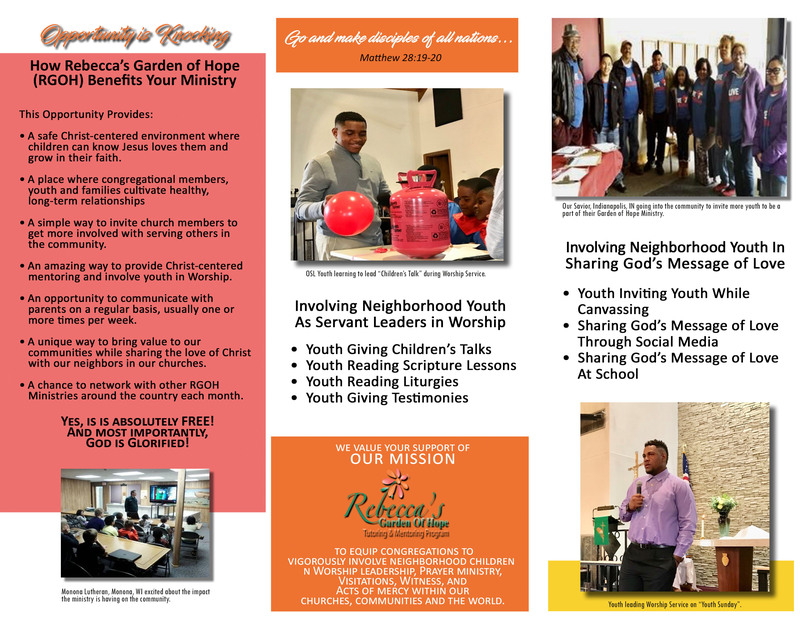 Additionally the Council will also research information and provide data from the other partner churches about available resources that will be of benefit to the program and others involved with the program. The Advisory Council will help to improve the overall function of the organization through our unique partnership with each other.